This year, hunger strike commemorations are due to take place soon and, as ever, they raise issues about celebrating people who perpetrated violent crimes and promoted a murderous ideology. The hunger strikers bring to mind the Ulster expression, “brave but stupid”. Yes, there is a certain amount of courage, as well as glassy-eyed fanaticism, required to starve oneself to death for a cause, but courageous acts can also be foolish. The violent Irish republican ideology that these young men believed in was deeply flawed. They weren’t political prisoners so much as prisoners of warped politics. The movement they belonged to thought it could unite the people of this island by literally blowing many of them to bits. 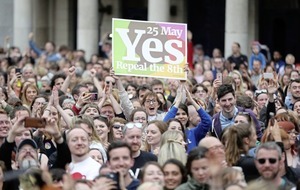 Through this campaign, it permanently alienated about a fifth of the population, who will now never consider the possibility of accepting an all-Ireland republic. As the commemorations attempt to whitewash history, it’s worth remembering that the hunger strikers were imprisoned, not for their political opinions, but for serious crimes, including murder. While they had a choice whether to live or die, their victims were not given the same choice. There were democratic avenues available through which they could have pursued their constitutional aspirations, but instead they chose violence. The hunger strikers’ deaths will be celebrated by many of the same people who caused an unnecessary, wrong, unjustified conflict. Sadly, they too often also seek to promote an exclusive concept of politics, still based on hatred, to a new generation, who believe their claims that they stand for ‘equality’ and ‘respect’. In a television documentary about Auschwitz, an aging survivor met the grandson of the camp commandant, who was visibly shaken by the experience of visiting the camp and then talking to a group of Israeli children. “It was not you. You were not there. It was not your fault,” the old Jewish man reassured him. It would have been rather different had he been told that the young person was proud of his grandfather and his actions. The survivor might then have said, “it will be you, you will be there and it will be your fault”. I make no apology for linking the mindset behind the atrocities at Auschwitz and the mentality that fuelled the ideologies, violent nationalism and loyalism, that caused our conflict. The Germans have made it absolutely clear to younger generations that the political fanaticism that took control of their country was wrong and they continue to challenge attempts to revive similar ideas. Too many of us are not doing the same. We were lucky to avoid a civil war and have a real opportunity to create a peaceful and stable future. If we’re to realise our potential, we need to have some tough conversations about our past and challenge the flawed ideologies that promote hatred of the other. 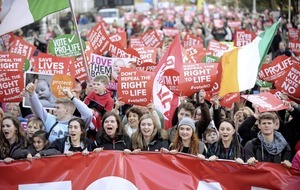 After all in 1998 we voted for a future for our children in a new Ireland where they strive to build constructive relationships not murder, maim, be imprisoned or starve themselves to death for a constitutional preference. Peter Robinson expressed rational and reasonable arguments in Donegal recently urging the DUP to develop strategies for Northern Ireland’s future regarding Brexit and its consequences on Irish/northern Irish relations. He also said that Northern Ireland should prepare for the possibility that it might eventually join with Ireland as one country. The DUP’s response was predictable and once more exposed the intellectual vacuity of their politics. Comments by members of the DUP on Robinson’s remarks included, ‘dangerous and demoralising’ from Sammy Wilson and again from Sammy, [united Ireland is] not going to happen, so why should I prepare for it?’; from Lord Empey, ‘Peter Robinson is a ‘Sinn Féin echo chamber’. Jim Allister, having dismissed Robinson as ‘crass’ called him ‘yesterday’s man’ – which is rich since Robinson appears to be the only progressive unionist politician. Are the DUP spokesmen so unaware of the impression they make with these mindless utterances outside of the unionist community. With the best will in the world it is really difficult not to see the phrase ‘DUP political thinking’ as an oxymoron? My fear has been for years that unless the DUP moderate their entrenched policies of ‘No Surrender’ and ‘Not an Inch’ eventually Northern Ireland will be dragged into a united Ireland completely unprepared. We have the English example with Brexit. 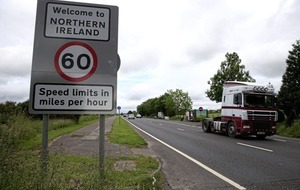 The present DUP leader, Arlene Foster, has said on television that in the unlikely scenario of a united Ireland she would flee her country and her party. Is that the best we can expect from DUP leadership? Do the members of the DUP fail to realise that when they bury their heads in the sand everyone can see from where they are talking? While the fiscal advice of Ulster Bank’s Terry Robb to those who have made their Holy Communion (July 27) it’s vitally important that they remember whom they have received. All too quickly the Eucharistic Lord becomes a reduced afterthought masquerading under the ubiquitous title of ‘holy bread’ in the face of empty and frivolous celebrating afterwards. When a child receives Holy Communion for the first time, it is a hopeful commencement of a life-long, fruitful relationship with grace, which leads to eternal life. While Mr Robb places cold economics as necessary, the joy of money is but superficial, and does not lead to interior peace. Only a Eucharistic relationship between the soul and its Creator is a guarantee of peace. One hopes that those who have already received the Body of Christ for the first time, will exhibit the true joy of a child of God and be the means by which those who have become culturally Catholic will become authentic more what they’re supposed to be, in name as well as in practice. I referred in my addresses at Orange demonstrations in Rossnowlagh and Portrush earlier this month to the menace of a secular and godless agenda driven by those who would purport to be Protestants. This agenda takes various forms, but the attack on St Mary’s Catholic Church in Limavady is an example of what I was talking about. Those who daubed slogans on this church have no clue about the doctrinal differences between Protestantism and Catholicism, nor do they care. They have no commitment to the great principles of civil and religious liberty. They are no better than the thugs who attacked Rasharkin Orange hall at the weekend. Whoever they are, they are the enemies of the Protestant cause.